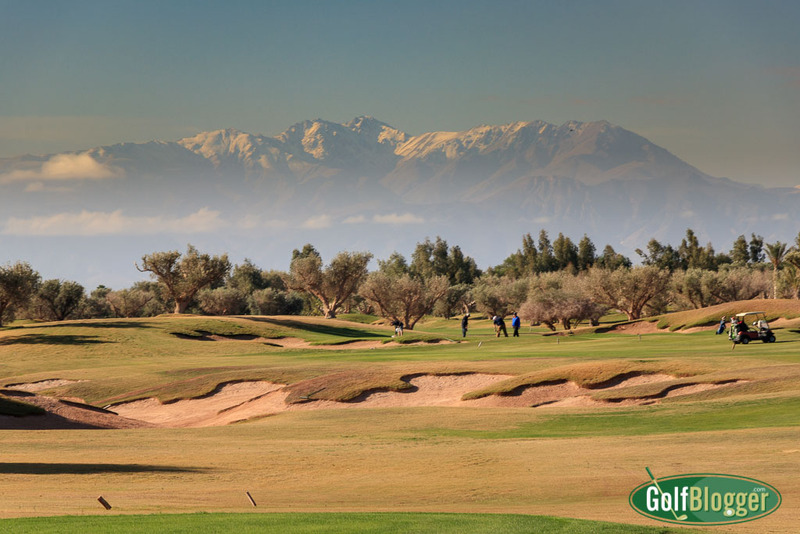 Royal Palm Golf Club is an incredibly fun course located just outside Marrakech, Morocco. It’s a great example of the diversity of golf in Morocco. I was in Morocco as the guest of the the Moroccan National Tourist Office. It was an amazing trip that ranged from Rabat to El Jadida and Marrakech. I stayed in fine hotels, ate amazing food, saw wondrous sights, learned about the people, culture and government, and shopped in the souks. And of course, there also was absolutely amazing golf. The third at Royal Palm, a 327 meter par 4. Royal Palm, at the Royal Palm Beachcomber Luxury Resort outside Marrakech, was a highlight of the trip. The course, best described as a “desert links,” was both fun and engaging. The Royal Palm golf course features wide, hard fairways that favor a bomber. Shorter hitters will enjoy watching their balls run out. Nearly all of the greens are open in front, inviting a wide variety of approach shots. Bunkers and water are present, but never threaten a well-though-out shot. Guests who stay at the Royal Palm Beachcomber resort should not be bored playing the course multiple times on their vacation. But just in case, there are several other courses to play within a short distance. Royal Palm is a links style course, many hundreds of miles from an ocean. 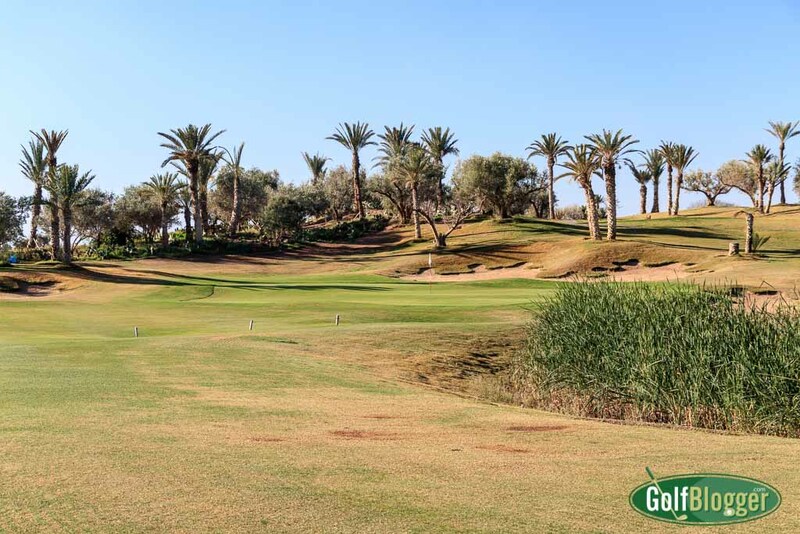 Royal Palm emphasizes the varieties of play presented by golf in Morocco. 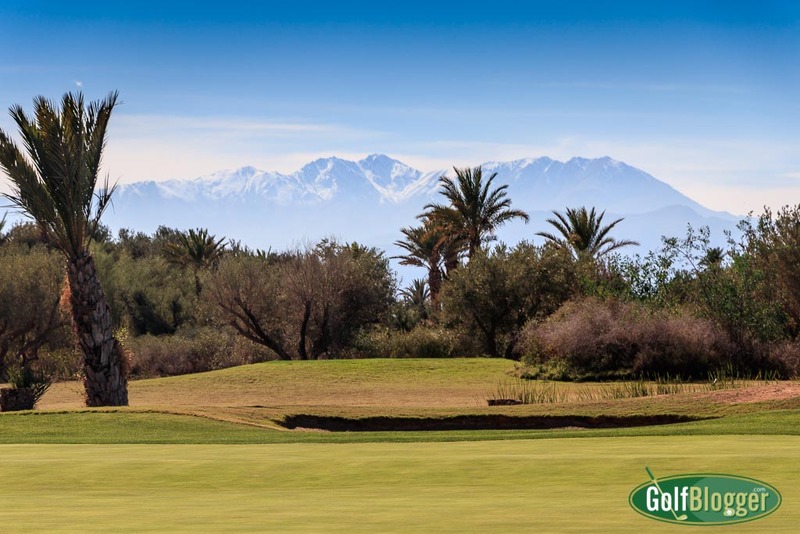 Aside from the sheer joy of play, the best part of Royal Palm are the views of the Atlas Mountains. Golf in Morocco is nothing, if not picaresque. The mountains, palms and flowers on the shrubbery presented an almost otherworldly feeling. I’ll have a full review of the Royal Palm Golf Course soon.